The string band quartet have a youthful zest for life, music and performing and comprise; ‘Ray Black’ singing and slapping the ‘56 Kay M-1 Upright Bass’, the calm and collective ‘Bone’, whose fingers comes to life twanging his ‘D‘Angelico Electric Guitar’, the peppy ‘Howlin' H’ strumming the tempo on his ‘Western Rhythm Guitar’ or ‘Danelectro Baritone Guitar’ and behind the boys the pulse of the band beating the ‘Sonor Teardrop Drum kit’, ‘Boz Doz’. 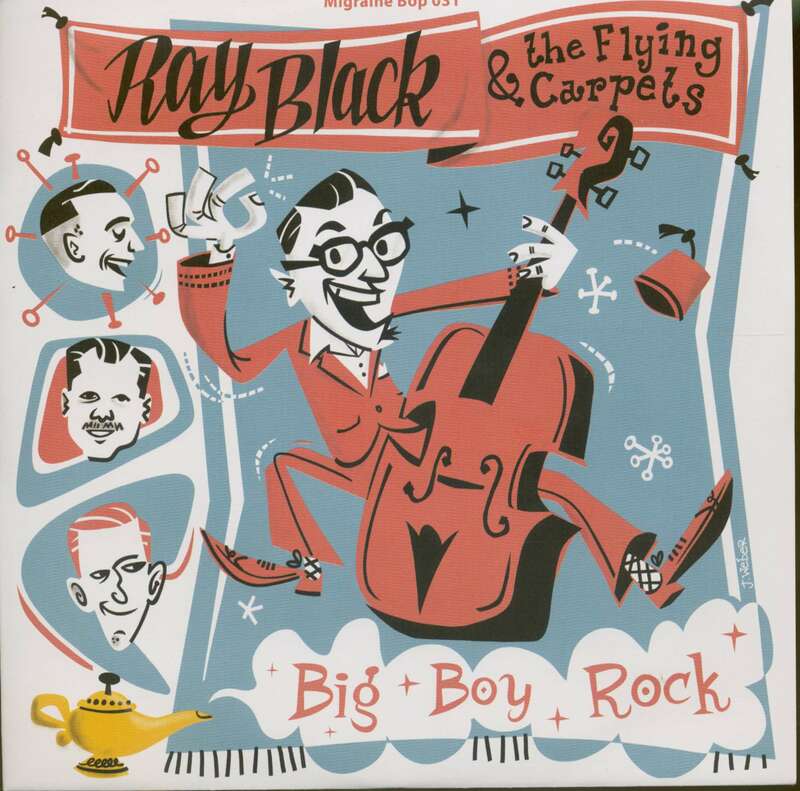 Ten of the twelve song albums are from the pen of Ray and these ditties are exciting and rhythmic and will make you jump around like a chicken on a hot plate! The two covers songs 'Rolling Stone' and 'Big Boy Rock' have something from the guys added to make them a little different, however what sets this album apart from others are the original compositions. The album kicks off with the slapping of the bass and a vocal warning not to mess with his 'Favorite Doll', the tempo and rhythm grabs your ears attention, as will each and every tune on this platter. The gritty and hard driving stroll tempo of 'Secret Lover', 'Little E', and the track which gave the album its title 'Better Way To Move', are songs that will attract the ladies onto the dance-floor. The blues are integral within rockabilly culture and with authenticity in their musical route the boys throughout 'Shakey Heart', sound like they hail from the Delta. You can feel the intensity developing when they increase the cadence during 'Roller Skating Girl' which is a killer blues bopper, and will make the dance floor vibrate and bounce when the cats and kittens catch the infectious bop beat. Both songs are embellished with harp from guest musician ‘Dynamite White’. The boys demonstrate their liking of country rockabilly, 'It Ain't Right', which has the style and feel of recordings ‘Lee Hazelwood’ produced in his Phoenix Arizona studio. 'Something Blue' is a mid-tempo rockabilly shuffler, which you would have heard in many southern towns at the dawn of the rockabilly explosion. 'She's Gone I'm Fine', is a driving rockabilly song about the girl who’s left her man, and does our chap care? Oh he is sad and blue, but it’s all right, he leaves with his shoes in hand. Variety is the spice of life, and this pyrotechnic album has an explosive end with a fast and driving rocker, with a touch of history 'Guy Fawkes Blues'. This album is made by rockabillies for rockabillies it’s the real deal, a little different, and full of exuberant energy, and will introduce ‘Ray Black and The Flying Carpets’ to a greater audience base. 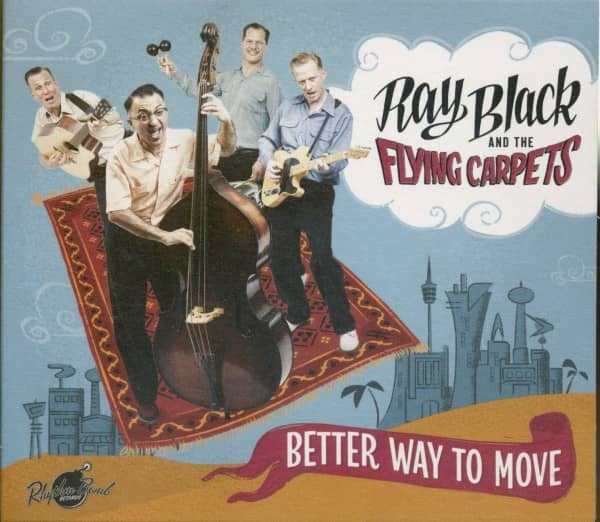 "Ray Black & The Flying Carpets"
Ray Black & The Flying Carpets are dedicated to the raw and honest sound of early rockabilly. Nevertheless, these guys are not afraid of critically selected garage songs from the 60s, which they translate into their own style and use as fuel for their predominantly authentic rockabilly sound. 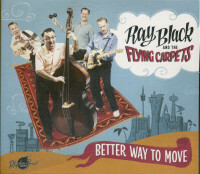 The result is a highly motivated performance that can be danced to bop or jive and shows the uncompromising dedication of the four band members Ray Black (singer, upright bass), Martin Bone (lead guitar), Howlin' Herbst (rhythm guitar, baritone), Boz Doz (drums) to what they do on every stage they enter. The band is based in Stuttgart (Germany), but has played throughout the country and in Austria, Switzerland and France. All band members are active musicians in the scene and play with The Hidden Charms, The Railbones, Dusty Dave & The Heartattacks or Blue Rockin', so you could certainly have seen them on stage. Customer evaluation for "Better Way To Move (CD)"